A comprehensive range of crane arm extensions for fume arms are available from Polex Environmental Engineering . 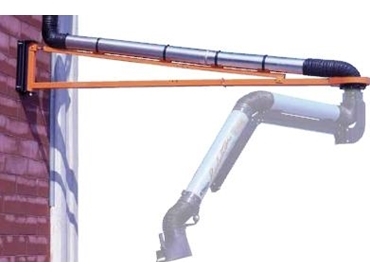 The crane arm extensions compliment the range of fume arms that are already available. The extension of a typical 150mm diameter fume arm can be increased by up to 5m. Crane arm extensions are fabricated from heavy duty box section steel tube and painted to provide a durable finish. Crane arm extensions can be supplied to suit 100mm diameter, 125mm diameter, 150mm diameter, 180mm diameter and 200mm diameter fume arms.